Detecting brain atrophy in multiple sclerosis (MS) patients requires high quality scans, too expensive and complicated for routine clinical use. But this may change with a new software that simplifies the calculation of brain atrophy based on data from routine magnetic resonance images (MRI). The new tool and its benefits were recently described in the study “Clinical relevance of brain atrophy assessment in multiple sclerosis. Implications for its use in a clinical routine,” published in the journal Expert Review Therapeutics. It was developed by researchers at the University at Buffalo in a project funded by Novartis, and is soon to be put to the test using data collected from MS patients worldwide. Brain atrophy is a critical indicator of cognitive and physical decline in MS. Accurate measurements of brain atrophy give doctors a complete picture of how the disease is progressing, and help them determine how well treatments are working in individual patients. 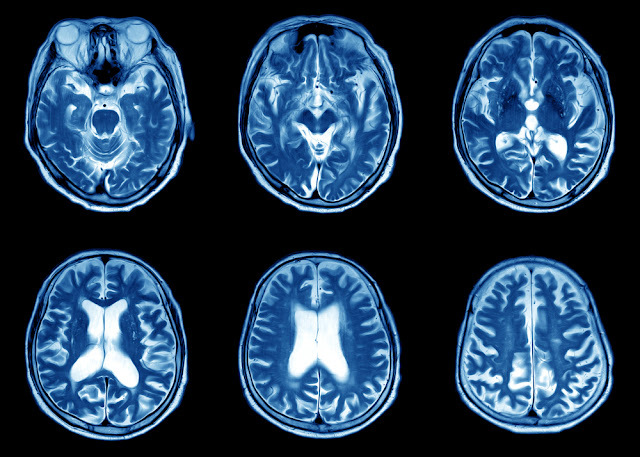 “Measuring brain atrophy on an annual basis will allow clinicians to identify which of their patients is at highest risk for physical and cognitive decline,” said Robert Zivadinov, professor of neurology and director of the Buffalo Neuroimaging Analysis Center in the Jacobs School of Medicine and Biomedical Sciences, in a press release. Researchers at the university have been working for the past 10 years to develop the world’s largest database of MRIs collected from MS patients. Currently, it contains about 20,000 brain scans collected from more than 4,000 people. The new tool, Neurological Software Tool for Reliable Atrophy Measurement in MS, or NeuroSTREAM, uses MRI scans to measure brain atrophy by examining a certain region of the brain, called lateral ventricular volume (LVV), which expands upon atrophy. The software then compares results with other scans in the database. Recent data, presented at the American Academy of Neurology Meeting in April, demonstrated that NeuroSTREAM accurately and reliably measured brain atrophy in MS patients. “NeuroSTREAM provides context because it compares a patient’s brain not just to the general population but to other MS patients,” said Michael G. Dwyer III, an assistant professor in the departments of Neurology and Bioinformatics at the Jacobs School of Medicine and Biomedical Sciences, and principal investigator on the NeuroSTREAM software development project. Usually clinicians determine disease progression by the presence of brain lesion, but MS patients also suffer severe brain volume loss, which is more difficult to assess. This may be a reason why some patients continue exhibiting cognitive and physical decline despite using MS treatments known to stop new lesions from forming. The researchers will now determine if NeuroSTREAM can accurately measure brain volume changes in MS patients. To do so, they will soon begin collecting data to create a new database of brain volume changes in more than 1,000 patients from 30 MS centers in the U.S., Latin America, Europe, and Australia. Ultimately, the team’s goal is to provide a user-friendly website where clinicians can upload their patient’s MRI scans and receive real-time information on brain atrophy measurements.